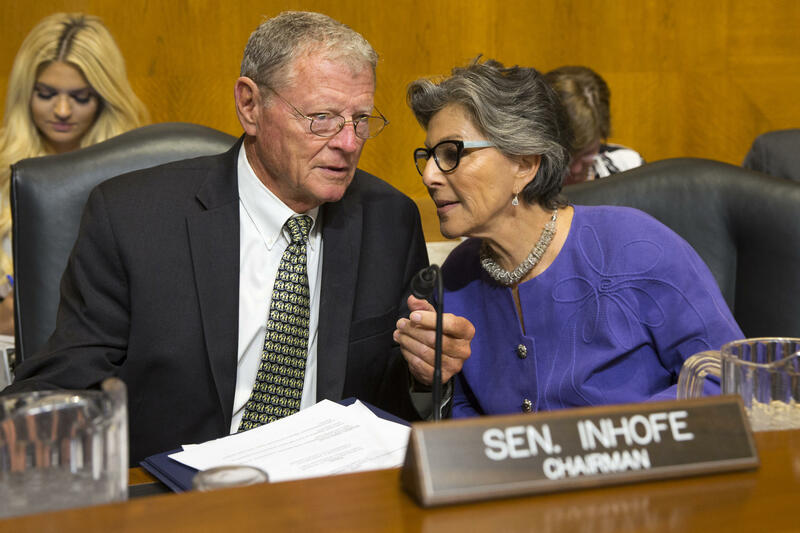 Senate Environment and Public Works Committee Chairman Sen. Jim Inhofe, R-Okla., left, talks with the committee's ranking member Sen. Barbara Boxer, D-Calif., on Capitol Hill in Washington, Sept. 16, 2015. 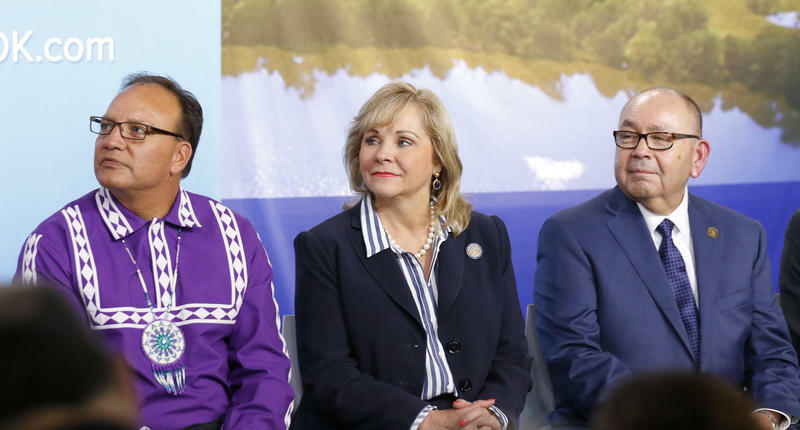 As The Oklahoman‘s Chris Casteel reports, Oklahoma U.S. Sen. Jim Inhofe, R-Tulsa, is trying to make sure that happens sooner rather than later by attaching the water plan approval to a larger, bi-partisan bill to fund water projects across the country that could come up for a vote as early as Monday. Inhofe, R-Tulsa, the chairman of the Environment and Public Works Committee, plans to get the agreement through the Senate as part of a massive water projects bill he has been working on for years. Sen. Barbara Boxer, of California, the top Democrat on the committee, has agreed to include the provisions. 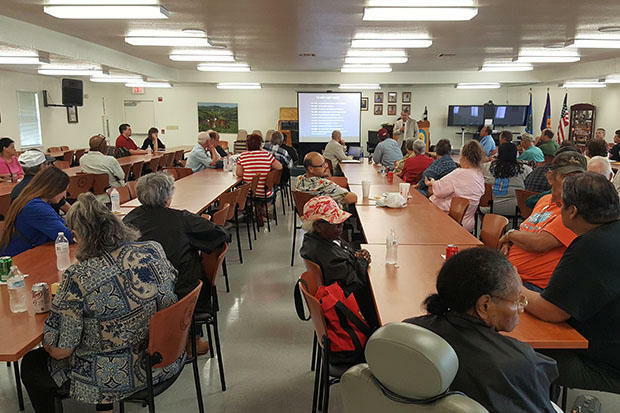 The language was worked out with the U.S. Army Corps of Engineers to have no budget impact, an Inhofe aide said. “We want to get this done in fast order,” Inhofe said Thursday of the water projects bill. The bill would also have to pass the U.S. House of Representatives, and Rep. Tom Cole, R-Moore, told the paper he’s confident it will pass, despite the deep partisan divide in Washington, D.C.
Cole said the most encouraging move was Inhofe putting the agreement in his bill, the Water Resources Development Act (WRDA), which includes navigation, flood control, drinking water and other projects across the country. 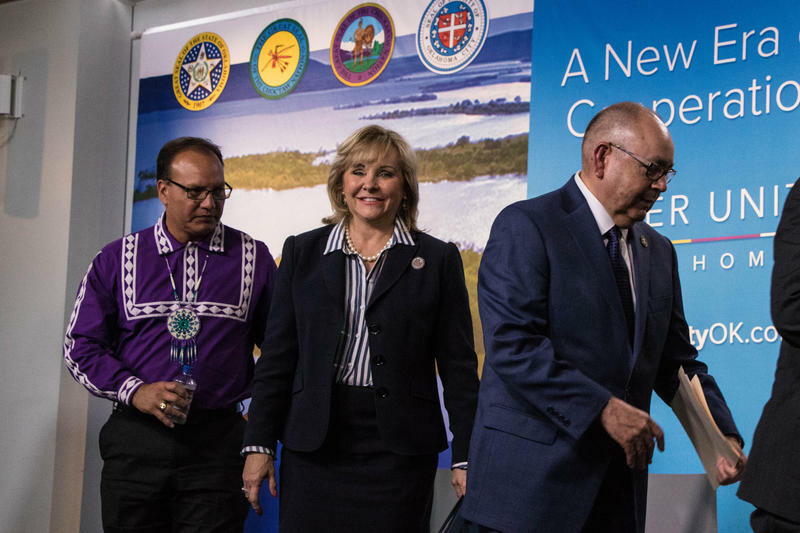 The deal reached between the state, Oklahoma City, and the Choctaw and Chickasaw Nations was unveiled Aug. 11, and gives the tribes more say-so in decisions regarding water in southeast Oklahoma. 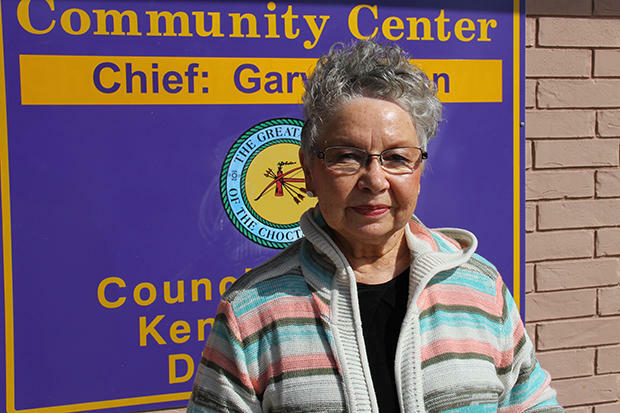 In particular, it limits how much water Oklahoma City can move from Sardis Lake to the metro in the future, and brings the tribes into the decision making process when proposals are made to sell water and move it out of state.